Hohhot, capital of Inner Mongolia autonomous region received 16.98 million tourists in the first half of 2018. The dividends include 29.95 billion yuan ($4.39 billion) in tourism revenue, indicating a year-on-year increase of 18.9 percent and 23.6 percent respectively. Tourism growth in the region peaked in June when 4.68 million people visited Hohhot, garnering 7.21 billion yuan ($1.06 billion) in tourism revenue, an increase of 24.31 percent and 24.11 percent respectively compared with the same period last year. The tourism industry in Hohhot features self-driving and parent-child trips. 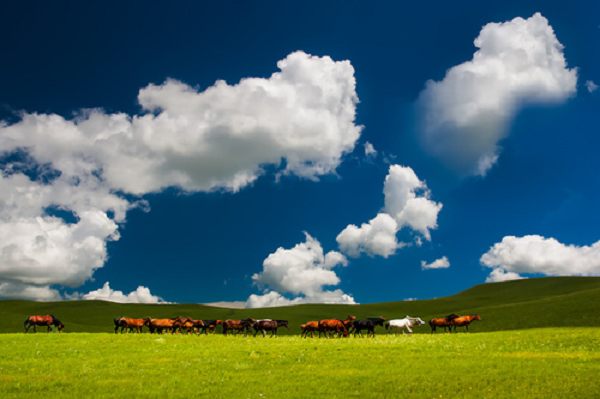 Especially in the Dragon Boat Festival and the May Day holiday, a large number of tourists from surrounding cities and regions flock to tourism attractions in Hohhot, including the Chile Prairie Culture-oriented Tourism Area and the Baishi Ecological Tourism Area. A series of exhibitions and festivals, such as the 10th Hohhot International Auto Show and 19th Zhaojun Culture Festival, also help promote the city's tourism industry.